We visit India for many reasons: to see its stunning landscapes, to get acquainted with its delectable cuisine, to witness its iconic forts, palaces, and temples. But the people of India are perhaps the best reason of all to journey here. Home to more than 1.3 billion, the Subcontinent brims with different cultures, languages, and modes of living. 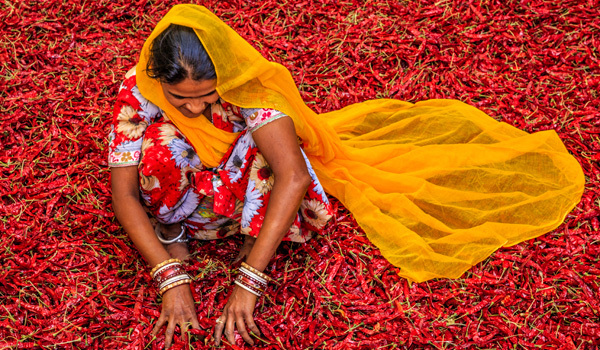 But wherever in India you do choose to explore, you’re sure to be greeted with warm and wonderful hospitality. 1. Does it get more vibrant (or more spicy) than this? 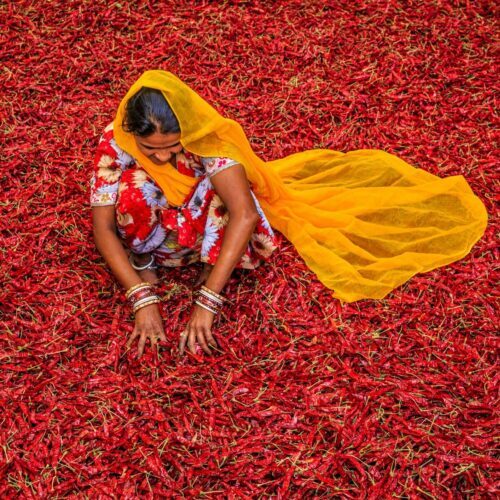 Here, a young woman sorts chilli peppers in Rajasthan. 2. 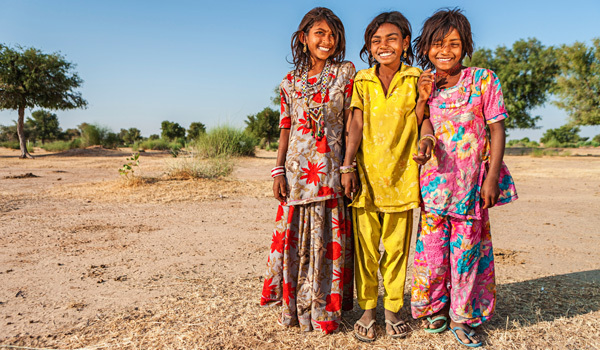 It may be dry, but India’s Thar Desert is still incredibly vibrant. These beaming, colourfully dressed girls are the proof. 3. 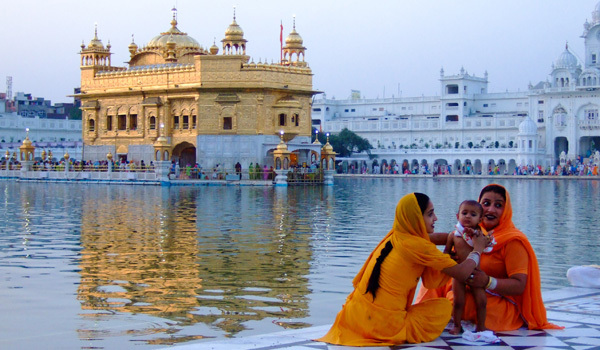 The Ganges River is famously sacred among the people of India. 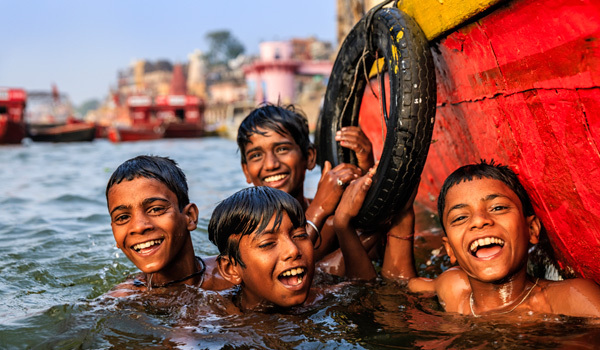 But for this playful group of boys in Varanasi, it’s also the perfect chance to cool off. 4. 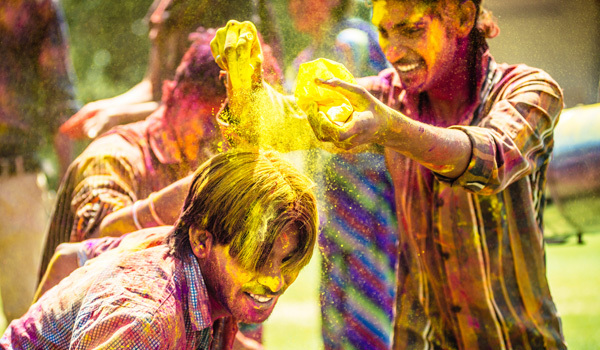 Visiting during Holi is a great opportunity to discover India’s festive spirit. 5. 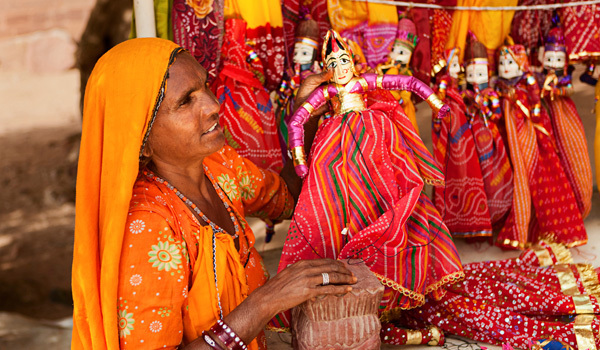 In Jodhpur, this vendor sells traditional – and beautiful – puppets. 6. 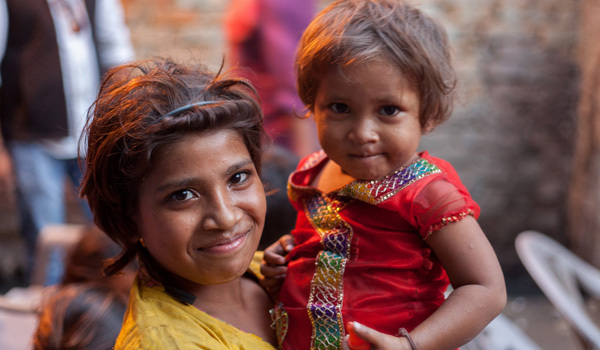 In this street scene, two young sisters in New Delhi smile at the camera. 7. 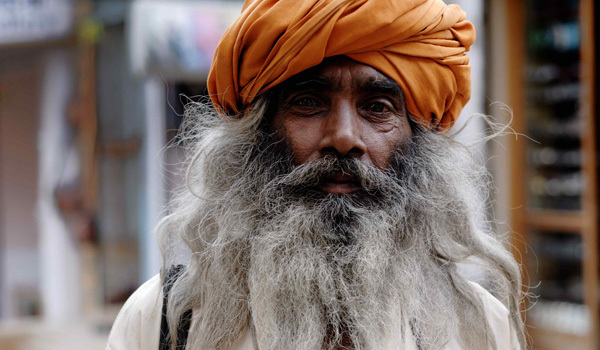 We love this striking portrait of a Rajasthani man wearing a brilliantly hued turban. 8. 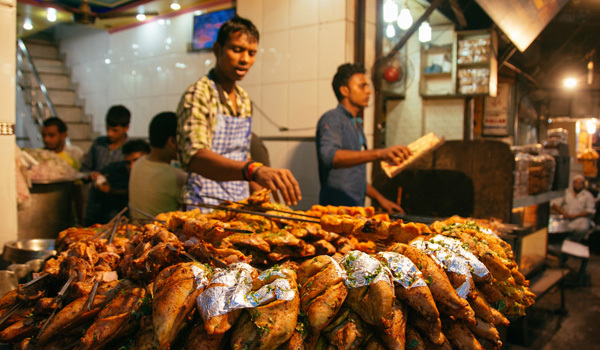 Sampling India’s street food is one of the best ways to get acquainted with the local culture (and these snacks certainly look tempting)! 9. 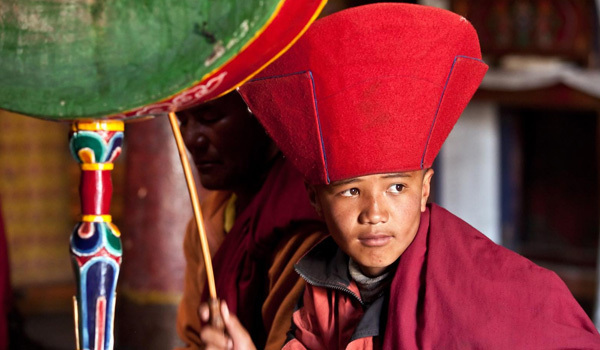 Taken at a monastery in the Leh District of Jammu and Kashmir, this beautiful portrait captures a young Buddhist monk. 10. 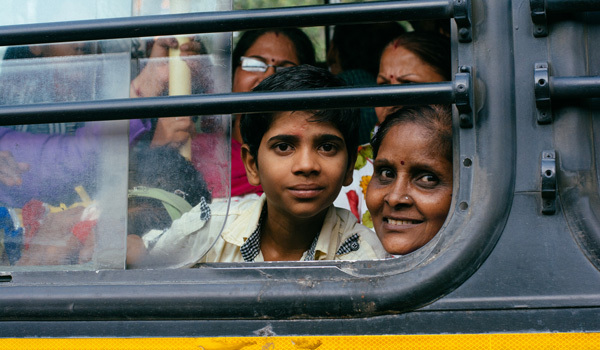 A smiling group seen through the window of a bus. 11. 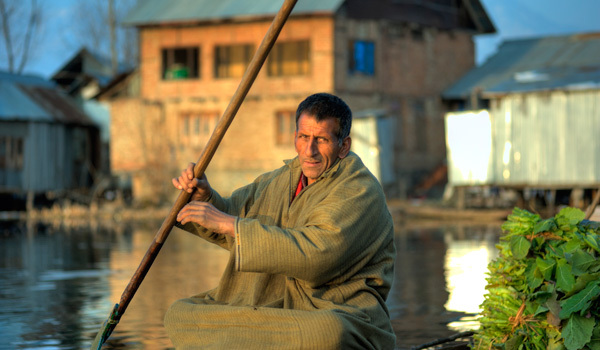 A man paddles across Srinagar’s beautiful Dal Lake. 12. 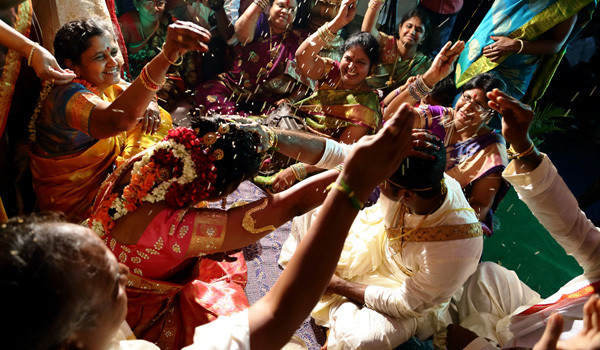 You’d be hard-pressed to find a more joyful photo than this wedding shot, taken in Hyderabad. 13. 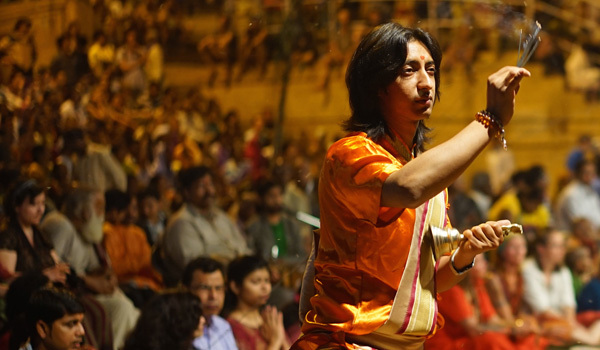 In Varanasi, a man performs a traditional devotional ceremony along the Ganges. 14. The Golden Temple at Amritsar may be stunning, but this colourfully dressed group is no less vibrant. 15. Thanjavur in Tamil Nadu is famous for its rich culture, including its traditions of classical dance.